For Sale in Cheadle for Offers Over £550,000. Immaculately presented four bedroom detached house offering exceptional living space throughout. Internally, the property has an appealing decor which is finished to a very high standard. The property comprises of; to the ground floor, an exquisitely designed open-plan kitchen/ dining, family room, living room /dining room, downstairs w.c, and access to the integral garage. 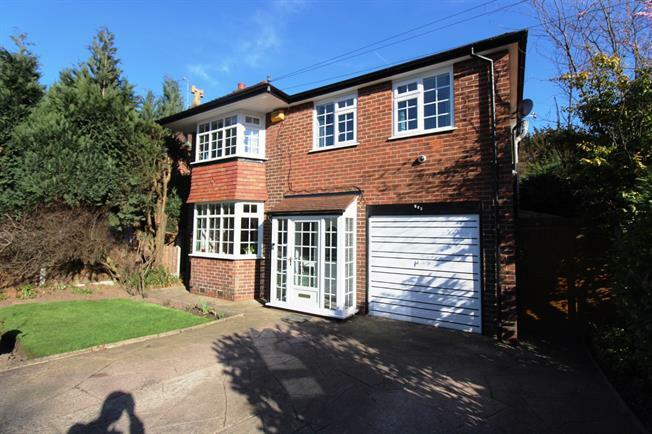 To the first floor we find four very spacious bedrooms, two which have vanity unit sinks, family bathroom and separate w.c.
Externally, the front of the property is framed nicely by mature shrubbery and benefits from a large driveway. To the rear of the property there is a lovely landscaped garden with mature shrubbery which makes this a very private location.